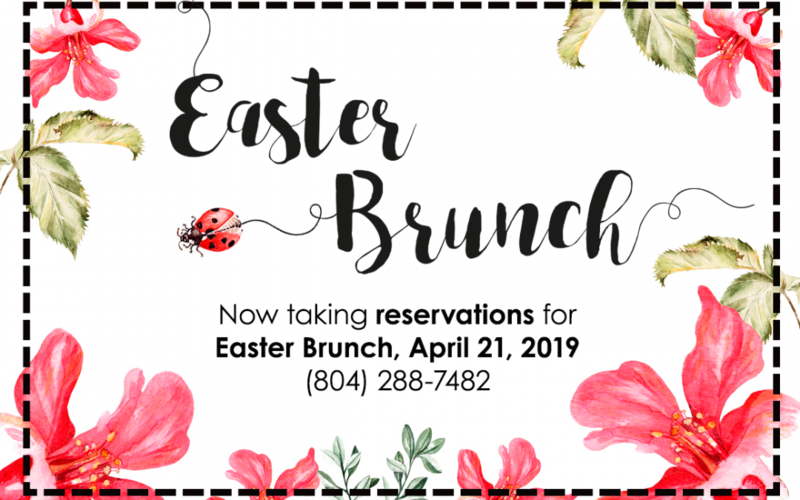 We’re now taking reservations for Easter Brunch, April 21, 2019. We’ll have some great specials plus all of your brunch favorites. It’s sure to fill up so make your reservation today online or call (804) 288-7482.